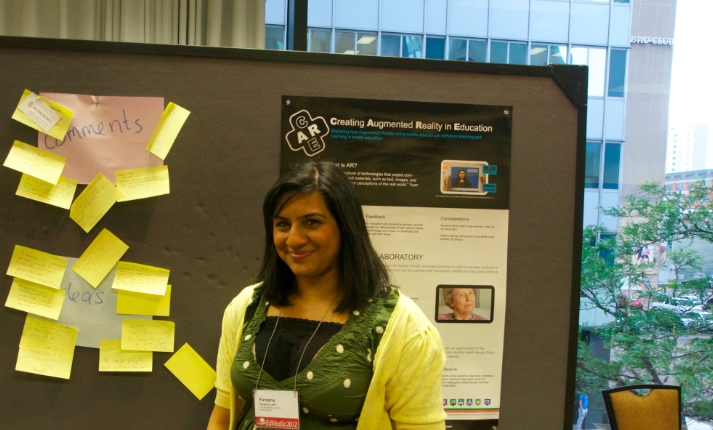 Today (Wednesday 27 June) I presented a paper and poster at Ed-Media 2012 . 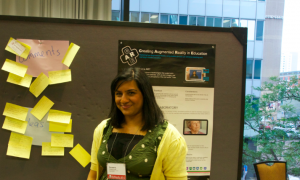 Ed-media is a World Conference on Educational Media and Technology. 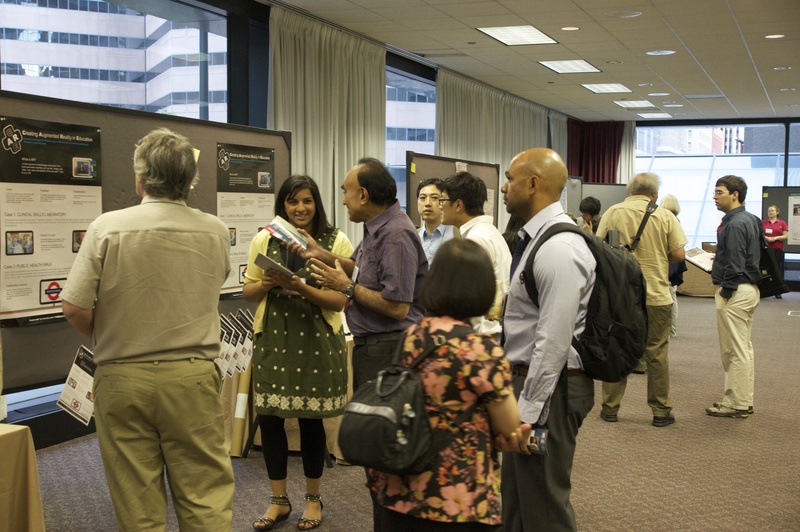 It attracts teachers, eduction technologists, researchers and PhD students. 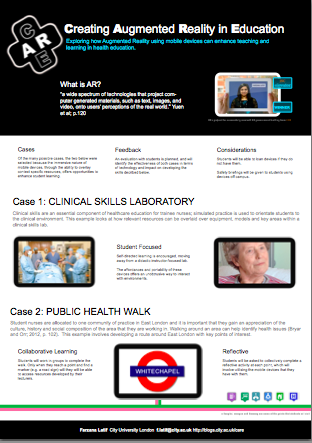 The paper titled cARe – Creating Augmented Reality for Education, can be downloaded here. It describes the two cases that are being developed as part of the JISC funded Health cARe project, in further detail. This is the first time that I have given an in person demonstration to people outside of City University London, let alone to an international audience and to leaders in the field, including one of the conference’s keynote speaker! Overall the response was very positive and the inbuilt augmented reality demonstration created a buzz around it. Many were quick to discuss the pegagogic value and informally I was told that whilst people knew about Augmented Reality, this was the first time that they had seen the technology used in a method that would offer value. During the session, people offered ideas and suggestions on post-it notes. There was interest in applying this technology in a variety of disciplines, including: medicine, e-service delivery/e-gov, maths, engineering. Some of the comments are listed below. For me, the opportunity to present, share and collaborate with peers was a valuable one. Furthermore, it has highlighted the relevance of this project on an international level. After writing this post I was given an outstanding poster award for it! 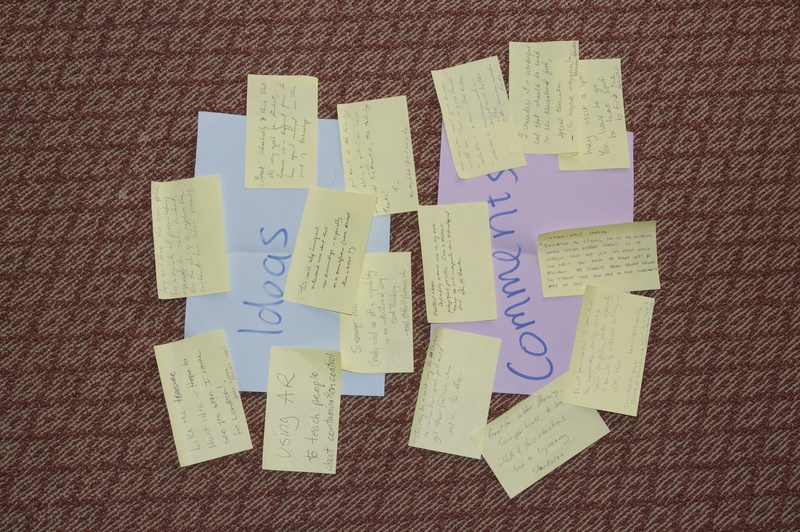 This entry was posted in Conferences by Farzana. Bookmark the permalink.